On the 27th (Sat), kick back and relax at Coligny Beach, get up close to creatures of the deep with a dolphin and whale watching tour, and then tour the pleasant surroundings at Hilton Head Island Bike Trails. Keep things going the next day: get interesting insight from Tours, then take a tour by water with Boat Tours & Water Sports, and then race across the water with a speed boat tour. 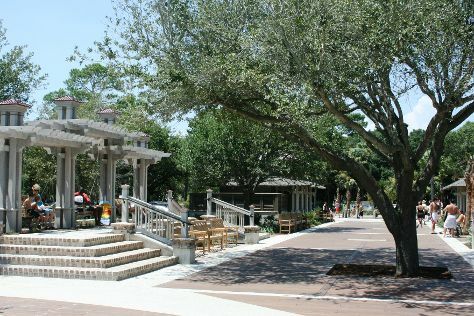 To find other places to visit, more things to do, photos, and more tourist information, read Hilton Head trip itinerary builder tool . Stuttgart, Germany to Hilton Head is an approximately 18.5-hour flight. The time zone changes from Central European Time (CET) to Eastern Standard Time (EST), which is usually a -6 hour difference. In July, Hilton Head is somewhat warmer than Stuttgart - with highs of 37°C and lows of 28°C. Wrap up your sightseeing on the 28th (Sun) early enough to travel to Santa Fe. Kick off your visit on the 29th (Mon): contemplate in the serene atmosphere at Loretto Chapel, admire the masterpieces at Georgia O'Keeffe Museum, don't miss a visit to Santa Fe Plaza, then see the interesting displays at Museum of International Folk Art, and finally pause for some serene contemplation at The Cathedral Basilica of St. Francis of Assisi. On the 30th (Tue), you'll have a packed day of sightseeing: explore the wealth of natural beauty at Pecos National Historical Park, then let the river carry you with a rafting and tubing tour, and then appreciate the extensive heritage of Canyon Road. To find where to stay, reviews, other places to visit, and other tourist information, go to the Santa Fe online trip builder . Do a combination of bus, flight, and shuttle from Hilton Head to Santa Fe in 11 hours. Alternatively, you can do a combination of bus and flight; or drive. The time zone difference when traveling from Hilton Head to Santa Fe is minus 2 hours. Traveling from Hilton Head in July, Santa Fe is slightly colder at night with lows of 18°C. Cap off your sightseeing on the 30th (Tue) early enough to go by car to Durango. On the 31st (Wed), take in the architecture and atmosphere at St. Columba Catholic Church, then cruise along Million Dollar Highway, and then identify plant and animal life at Durango Fish Hatchery and Wildlife Museum. Get ready for a full day of sightseeing on the next day: hop aboard Durango and Silverton Narrow Gauge Railroad and Museum and then get a new perspective on things with Boat Tours & Water Sports. For where to stay, traveler tips, and tourist information, read Durango online trip itinerary planner . Getting from Santa Fe to Durango by car takes about 4.5 hours. Other options: fly; or take a bus. Expect a bit cooler evenings in Durango when traveling from Santa Fe in July, with lows around 14°C. Finish your sightseeing early on the 1st (Thu) so you can travel to Custer. Generally considered to be the oldest town established by European Americans in the Black Hills, Custer began as a mining town. Step off the beaten path and head to Wind Cave National Park and Needles Eye Tunnel. Get outdoors at Black Hills National Forest and Mammoth Site of Hot Springs. Change things up with a short trip to Rankin Ridge Nature Trail in Wind Cave National Park (about 34 minutes away). There's still lots to do: admire all the interesting features of Iron Mountain Road, contemplate the waterfront views at Sylvan Lake, cruise along Wildlife Loop Road, and admire the majestic nature at Custer State Park. Make your Custer itinerary with Inspirock to find out what to see and where to go. You can do a combination of flight and taxi from Durango to Custer in 6 hours. Other options are to drive; or take a bus. While traveling from Durango, expect slightly colder days and about the same nights in Custer, ranging from highs of 29°C to lows of 12°C. Finish your sightseeing early on the 4th (Sun) so you can travel to Yellowstone National Park. On the 5th (Mon), trek along Artist Point, explore the stunning scenery at Grand Canyon of the Yellowstone, and then explore the stunning scenery at S Rim Trail. On the 6th (Tue), you'll have a packed day of sightseeing: witness a stunning natural landmark at Castle Geyser, witness a stunning natural landmark at Grand Prismatic Spring, witness a stunning natural landmark at Solitary Geyser, then witness a stunning natural landmark at Old Faithful, and finally witness a stunning natural landmark at Upper Geyser Basin. To see ratings, reviews, traveler tips, and other tourist information, go to the Yellowstone National Park trip maker website . You can do a combination of taxi, flight, and car from Custer to Yellowstone National Park in 7 hours. Alternatively, you can drive; or do a combination of car and flight. Plan for a bit cooler temperatures traveling from Custer in August, with highs in Yellowstone National Park at 24°C and lows at 3°C. Finish your sightseeing early on the 6th (Tue) so you can drive to Jackson Hole. On the 7th (Wed), identify plant and animal life at Grand Teton. 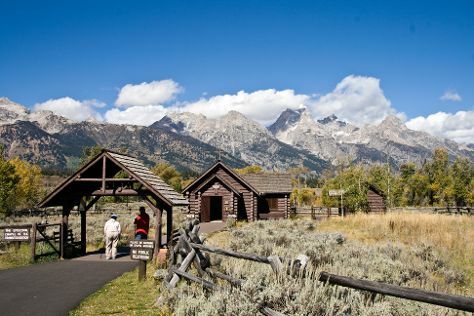 Get ready for a full day of sightseeing on the 8th (Thu): look for all kinds of wild species at Laurance Rockefeller Preserve, then look for all kinds of wild species at Teton Raptor Center, then don't miss a visit to Town Square, and finally take in the exciting artwork at Mangelsen Images of Nature. To find photos, ratings, reviews, and tourist information, you can read our Jackson Hole vacation site . Traveling by car from Yellowstone National Park to Jackson Hole takes 2 hours. Traveling from Yellowstone National Park in August, expect nights in Jackson Hole to be about the same, around 7°C, while days are somewhat warmer, around 30°C. Finish your sightseeing early on the 8th (Thu) to allow enough time to travel to Honolulu. On the 9th (Fri), contemplate the long history of Battleship Missouri Memorial and then fulfill a lifelong dream with a swim-with-the-dolphins experience. 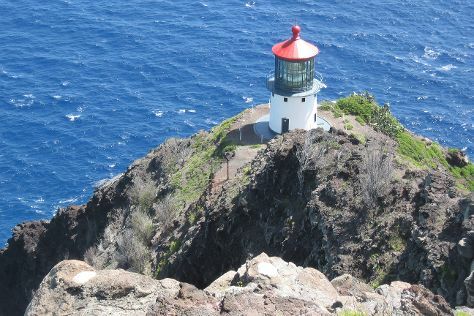 On the 10th (Sat), you'll have a packed day of sightseeing: examine the collection at Iolani Palace, then trek along Makapuu Lighthouse Trail, and then explore the different monuments and memorials at National Memorial Cemetery of the Pacific. To see ratings, other places to visit, photos, and tourist information, read our Honolulu trip itinerary builder . You can fly from Jackson Hole to Honolulu in 10.5 hours. Traveling from Jackson Hole to Honolulu, you'll gain 3 hours due to the time zone difference. Traveling from Jackson Hole in August, you will find days in Honolulu are a bit warmer (36°C), and nights are warmer (28°C). Wrap up your sightseeing on the 10th (Sat) early enough to travel to Kailua-Kona. Kick off your visit on the 11th (Sun): identify plant and animal life at Kanaloa Octopus Farm, immerse yourself in nature at Hapuna Beach State Recreation Area, and then contemplate in the serene atmosphere at Puukohola Heiau. On the 12th (Mon), you'll have a packed day of sightseeing: see majestic marine mammals with a dolphin and whale watching tour and then cast your line with a fishing tour. 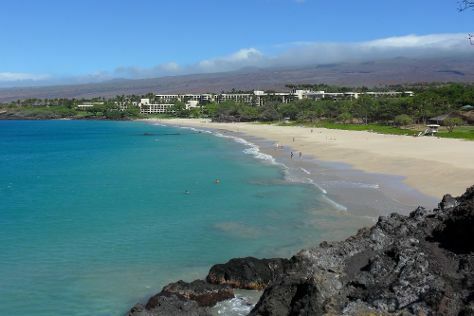 You can plan Kailua-Kona trip in no time by asking Inspirock to help create your itinerary. Fly from Honolulu to Kailua-Kona in 4 hours. Alternatively, you can do a combination of flight and bus. August in Kailua-Kona sees daily highs of 36°C and lows of 29°C at night. Wrap up your sightseeing on the 12th (Mon) to allow time to travel to Homer. Homer is a city located in Kenai Peninsula Borough in the U.S. Get some cultural insight at Center for Alaskan Coastal Studies and Pratt Museum. Step off the beaten path and head to Photography Tours and Homer Spit. Change things up with these side-trips from Homer: Fishing Charters & Tours (in Ninilchik) and Kenai National Wildlife Refuge (in Soldotna). There's still lots to do: kick back and relax at Bishop's Beach Park, paddle through the water with a kayaking and canoeing tour, learn more about the world around you at Alaska Islands and Ocean Visitor Center, and take in the exciting artwork at Norman Lowell Studio & Gallery. For other places to visit, photos, where to stay, and tourist information, read Homer trip builder app . You can fly from Kailua-Kona to Homer in 9.5 hours. Alternatively, you can do a combination of flight and bus. You'll lose 1 hour traveling from Kailua-Kona to Homer due to the time zone difference. In August, Homer is cooler than Kailua-Kona - with highs of 20°C and lows of 12°C. Wrap up your sightseeing by early afternoon on the 16th (Fri) to allow time for travel back home.